This Blue Silver Metallic Fade features an electroplated, chip resistance metallic coating that subltely fades from one color to the next. Our road tested, secret plastic formula and lifetime warranty give you the peace of mind that you are getting the quality of an authentic Penny. 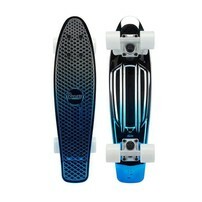 Trucks and Cushions: White powder coated trucks complete the theme of this Penny 22" board. The high-quality aluminium construction of Penny trucks keeps your ride light and strong, while the cushions make sure you're ready to carve. Tighten them or loosen them to suit your riding style. 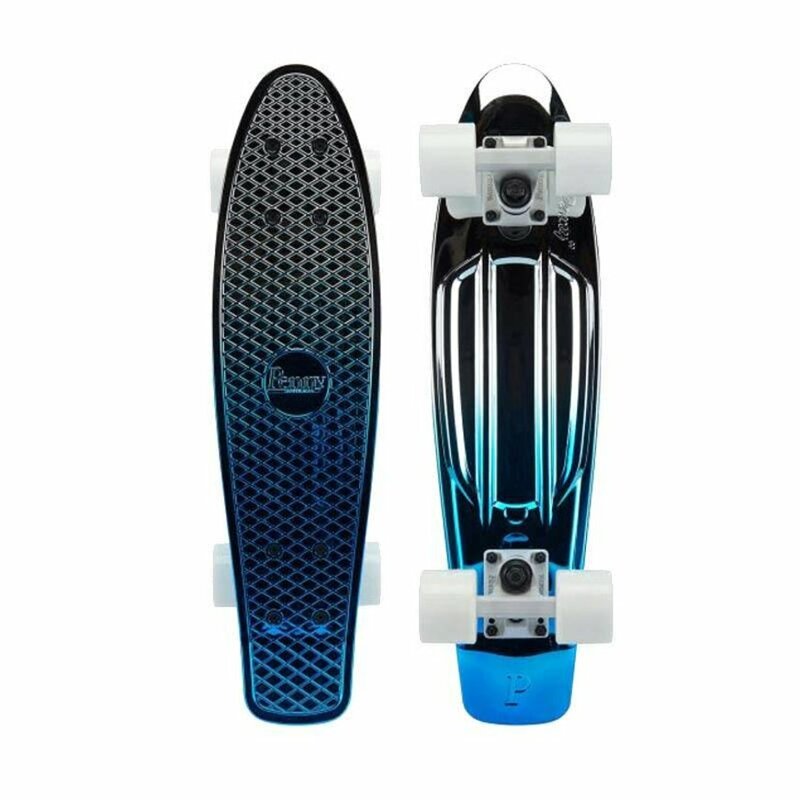 Bolts: The 22" Blue Silver Metallic Fade features black high tensile deck bolts.